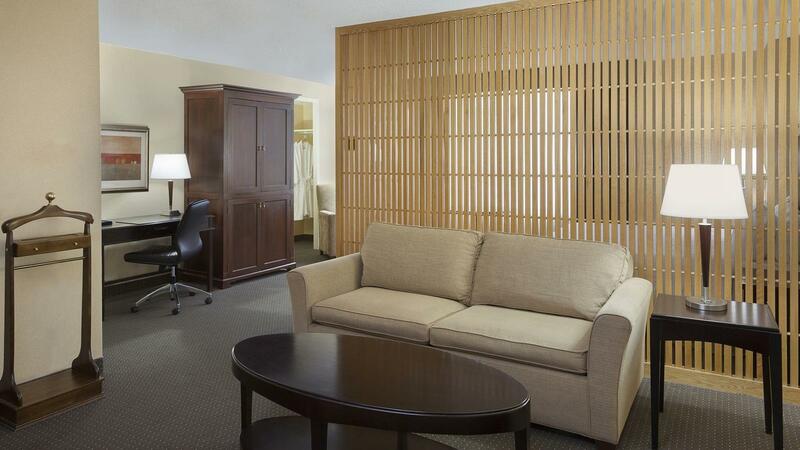 Feel at home in our spacious Junior Suites with triple sheeted, plush king pillowtop bed, and living/sitting area. Work easier with our complimentary high-speed Internet and relax while watching the 37-inch flat screen TV featuiring pay-per-view movies. Amenities include in room complimentary water and convenient mini-refriderator. 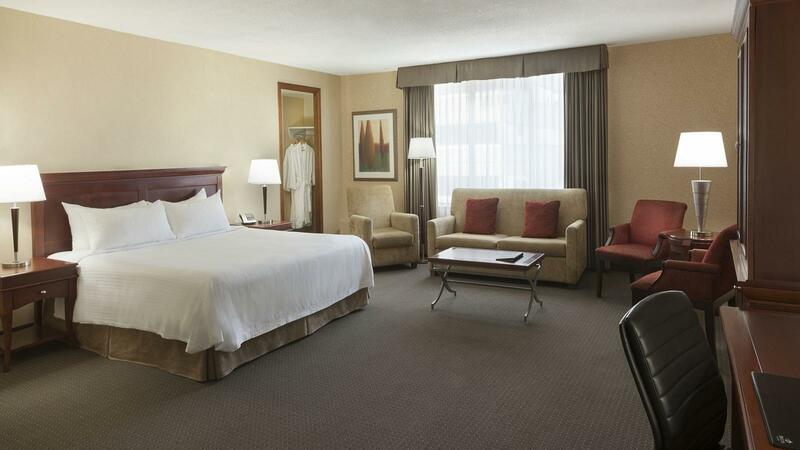 In-Room Amenities: 32-inch flat screen TV, mini-fridge, iron and ironing board, desk and chair, coffee maker / tea service, hair dryer, alarm clock, pay-per-view movies.